After lunch at a secluded farmhouse-turned-inn, stride through rolling pastureland, evergreen forests and roads lined by fruit trees in southern Bohemia. 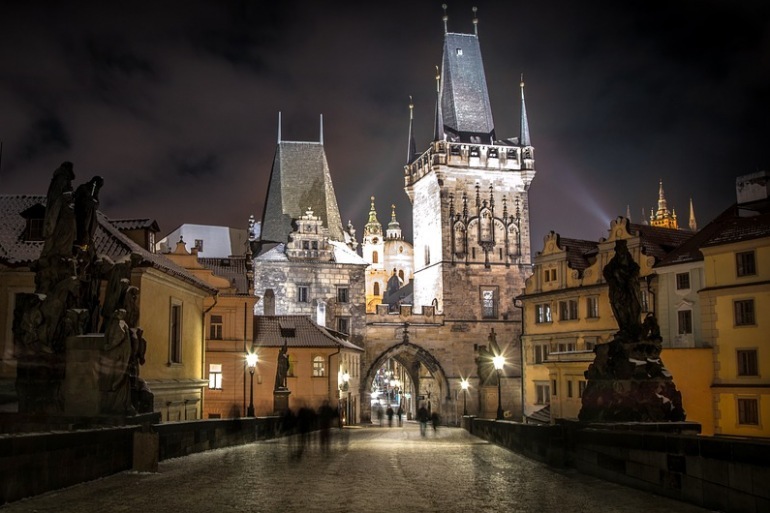 An incredible World Heritage site with cobblestone streets, baroque and Renaissance houses, vaulted passageways and hidden squares Hike into the hills for sweeping city views Rendezvous at a popular pub for a tasting of Czech beers. Ascend by cable car from Traunsee (one of Austria's deepest lakes) to Feuerkogel peak, where a heavenly hike with stunning vistas awaits When better to taste apfelstrudel, the delicious signature highland dish, than mid-trek at a cozy alpine hut A walking tour of the tiny World Heritage town of Hallstatt reveals ancient salt-mining roots Keep your eyes peeled for chamois as you explore the beautiful Dachstein Massif and amble among waterfalls Schuhplattler dancers treat us to a lively performance. Ride a cogwheel train, in operation since 1893, from the storybook village of St. Wolfgang up Schafberg Mountain—you won't want to miss this photo op! Have lunch overlooking much of the Salzkammergut Lake District, including Wolfgangsee Hike to the lovely resort town St. Gilgen, the birthplace of Mozart's mother and the setting for many scenes in The Sound of Music Stretch your legs on a leisurely walk around Fuschl, an idyllic lakeside village set in a nature reserve Pine-clad hills shelter the lake, which offers several secluded bays as well as calm beaches ideal for swimming.